(2) We recently posted new Product Questionnaires. These can help pathologists compare and contrast the various products and services offered by participating companies. 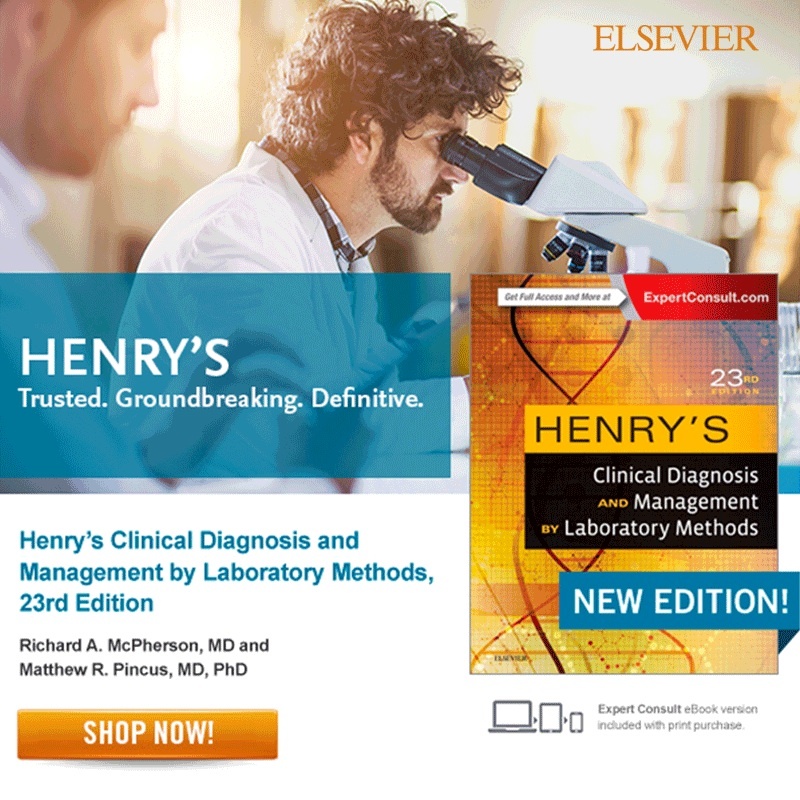 Creative Diagnostics, Rowley Biochemical and Quidel Corporation have new questionnaires located under Diagnostic Testing Kits / Reagents, and Rowley Biochemical has a new questionnaire under Histology Products and Services. (3) We have now posted versions of the Jobs, Fellowships by Specialty and State / Country, and Conferences pages as of April 1, 2016 and May 1, 2016. If you need to look up a prior ad, we maintain these files as of the first of each month (or close to it). Read more. 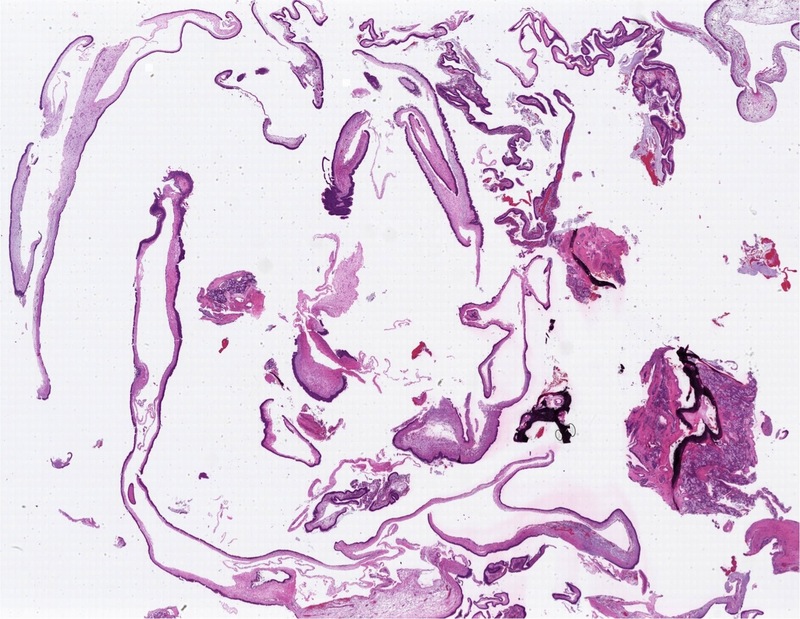 A 27 year old woman presented with a right nasal polyp, which was excised. Nasal polyps are non-neoplastic; their formation is associated with inflammation, allergy or mucoviscidosis. A choanal polyp arises from the paranasal sinuses, and these are subdivided based on location, with antrocholanal the most common (Rosai: Rosai and Ackerman's Surgical Pathology, 10th ed, 2011). Antrochoanal polyps represent 4-6% of all nasal polyps and occur most frequently in childhood. 90% are solitary and they usually arise from the wall of the maxillary antrum, extending through a large primary or secondary maxillary ostium into the nasal cavity. In this case, the ENT surgeon confirmed that the elongate polyp arose from the maxillary sinus and extended into the nasal cavity. Grossly, there is a long narrow stalk with a firm, fibrous body. 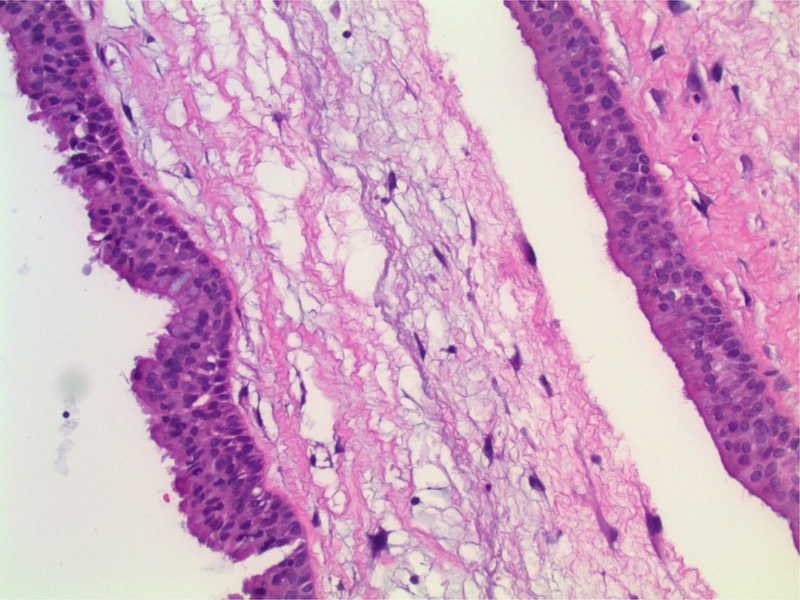 Histopathology is similar to an inflammatory polyp and shows surface respiratory mucosa with no significant cytologic atypia. 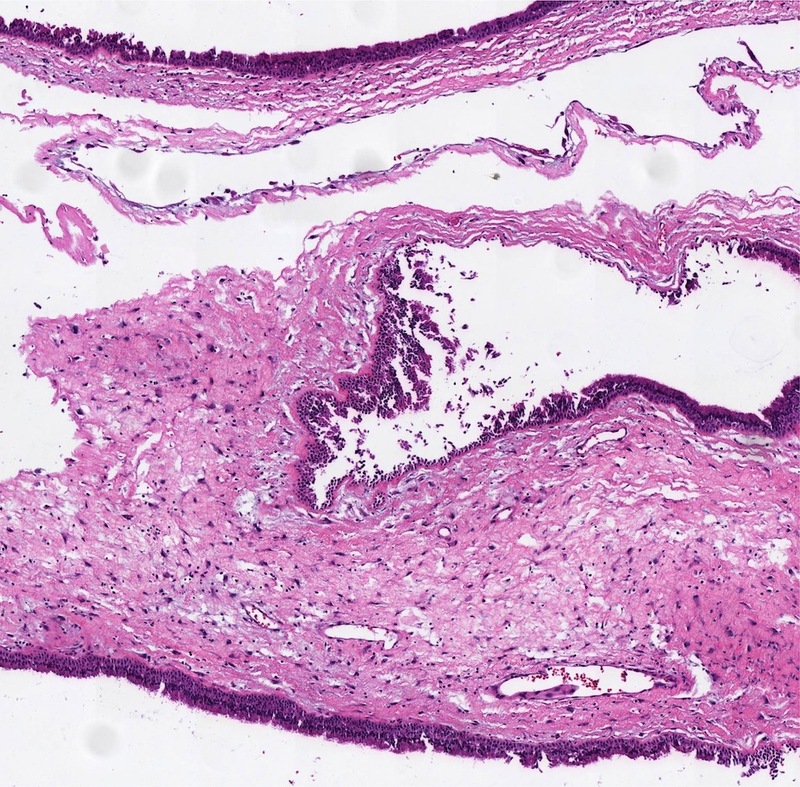 Areas of squamous metaplasia may be seen. The stroma contains stellate cells which are reactive in nature. A prominent component of dilated vessels with thrombosis or infarct is often present. Prominent eosinophils are seen in only 20%, in contrast to inflammatory polyp, which usually contains more. 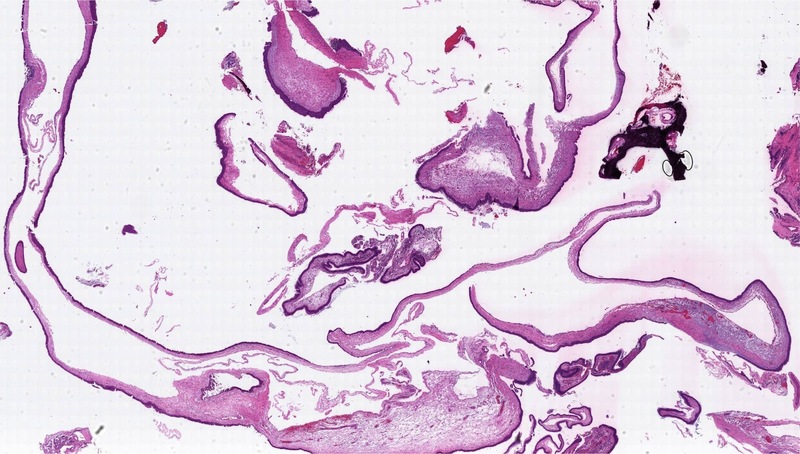 The primary differential diagnosis includes inflammatory / allergic polyp, which typically shows more eosinophils and more submucous glands (Acta Otolaryngol 1995;115:543). The prominent dilated vessels of the antrochoanal polyp can also be a helpful distinguishing feature. Local recurrence is common following surgical removal, likely because of persistence of inciting pathogenetic factors (Rosai: Rosai and Ackerman's Surgical Pathology, 10th ed, 2011). Discussion by: Dr. Jennifer R. Kaley, University of Arkansas for Medical Sciences (USA).